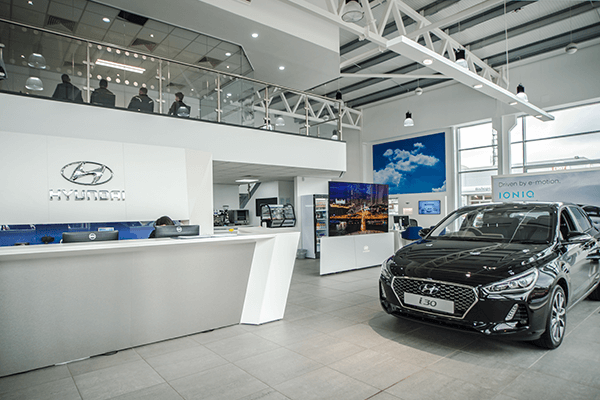 Following the success of our Hyundai Rockar installations, Hyundai approached us to help them start to introduce digital signage across their dealership network, starting with adding video content to the lead car display. 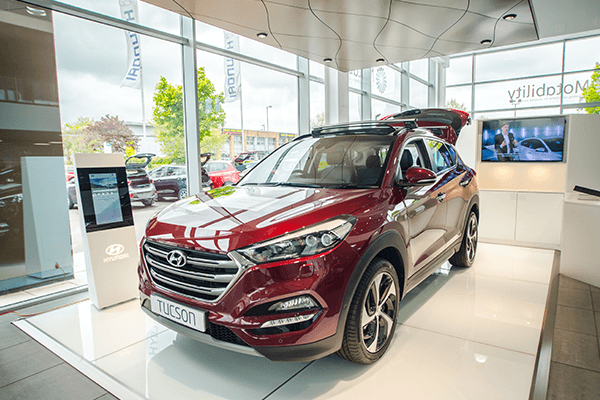 With multiple dealers in their network, Hyundai needed to deliver a consistent high quality experience across the country. 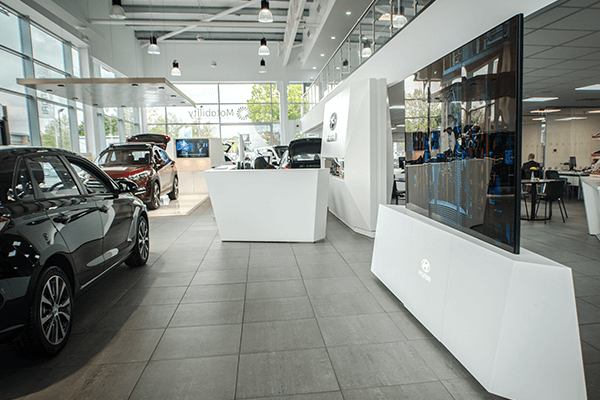 Working alongside Dalziel and Pow, who designed the concept, MediaZest installed multiple touchscreens and digital devices, which allow customers to browse, test-drive, sell their car and buy a new one at the touch of a button; with no interaction from sales staff. We also installed our Retail Analytics system which provides valuable customer count & profile data. 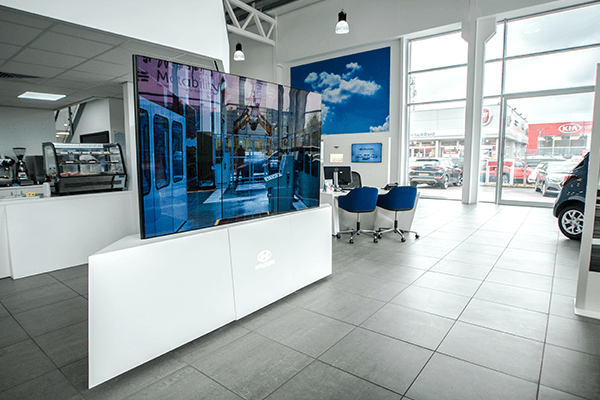 With over 100 screens already deployed, the initiative has been a great first step to introduce digital signage into the dealer network. Following this successful beginning, we are working with the brand to add further technology including interactive price totems to help customer engagement.